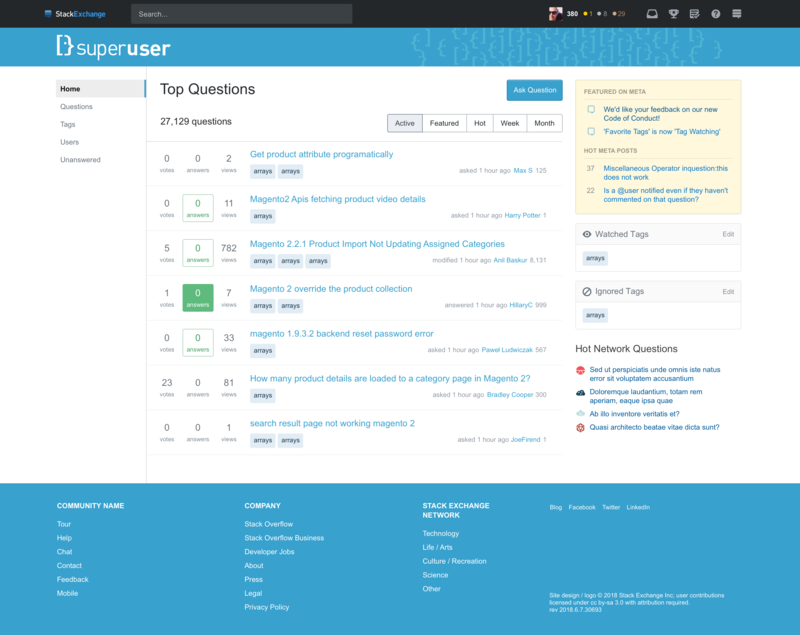 As mentioned on meta.stackexchange.com several months ago, all network sites will be getting updated themes. 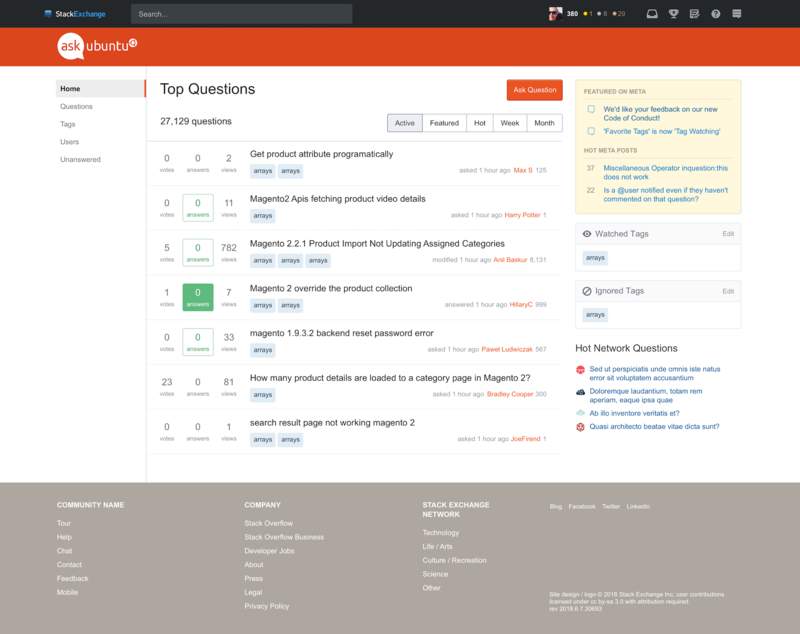 Ask Ubuntu is one of the first sites that will be updated. 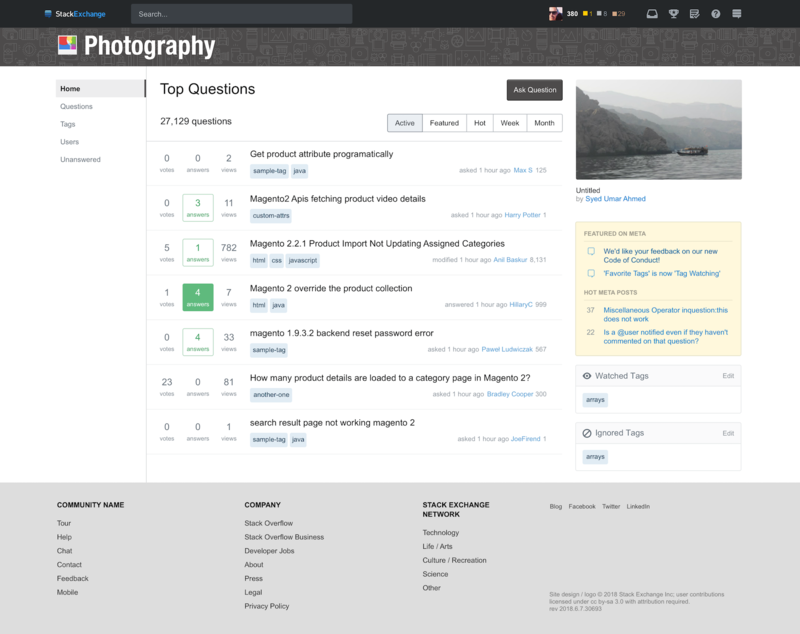 As such, I'm posting the design here so you can see how the new theming will be applied to your site. 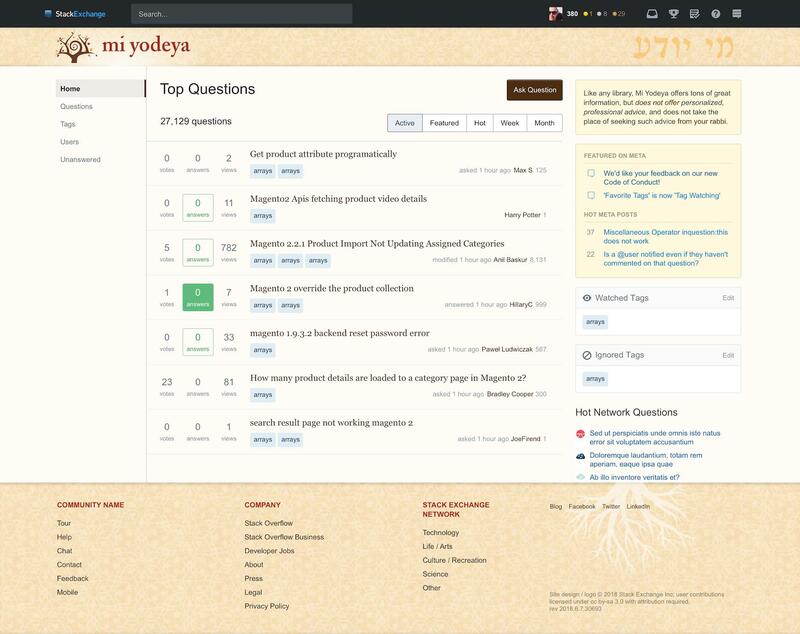 One special note, the current Ask Ubuntu them sports an extra "top bar" that provides navigation to other Ubuntu sites. We are dropping support for this bar in our new theme. The application of this bar is inconsistent across the Ubuntu sites and it is lightly used on AU. The orange bar is useless like this. 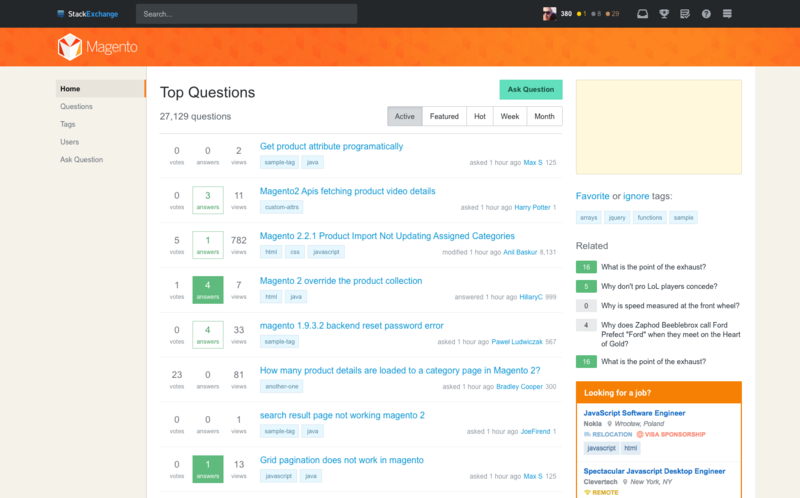 The black bar could be orange and have the AskUbuntu logo in it (where the stackexchange logo could go 1st or 2nd next to the AskUbuntu logo and the search could move a bit to the right). If this makes the titles take up 2 lines on a less wide screen I am not going to be happy though (removing 1 of the 2 bars would make room for 1 or 2 more questions). Like Rinzwind also already noted in his answer, the huge orange top bar is now mainly useless and empty. While I see that this is how it's supposed to be to match the new overall theme structure, it could be prettified a bit while still staying within the capabilities of the new theme. Other sites have their top bar customized to not show a single plain solid color, but e.g. a gradient with simple shapes (compare e.g. Magento SE), some unobtrusive symbols, structures or objects on the right side only (compare e.g. 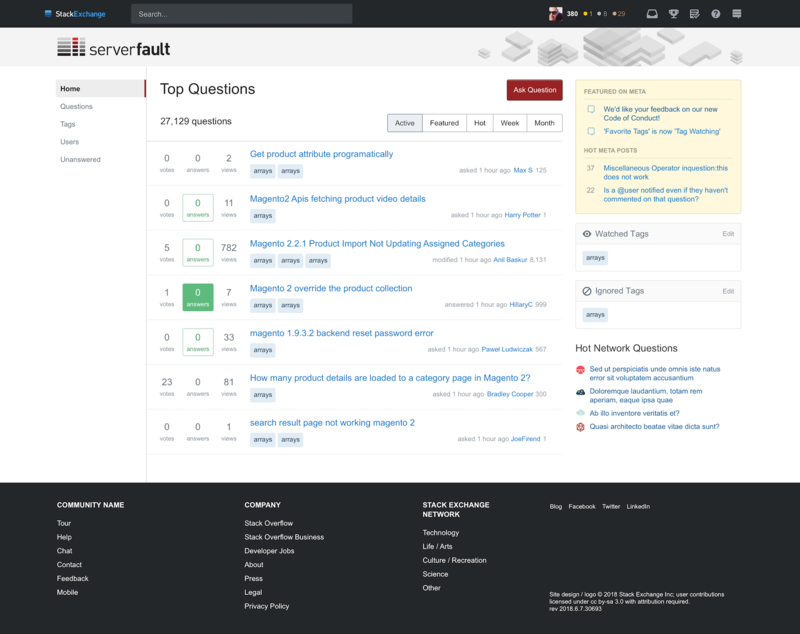 Server Fault, Super User), across the whole top bar (compare e.g. Photography SE) or both (compare e.g. Mi Yodeya). The screenshots linked above are taken from the official MSE posts Rollout of new network site themes and Ch-ch-ch-changes: Left nav, responsive design, & themes. So, how about making the site look a but nicer and more unique by customizing our own top bar in a similar way? If this proposal is appreciated, we could collect and vote on ideas what to do exactly in a separate question. If you dislike having the space on the left-hand side of the page being used for navigation links, there is a Hide left navigation setting in the Stack Overflow site preferences which works well for maximizing screen real estate. 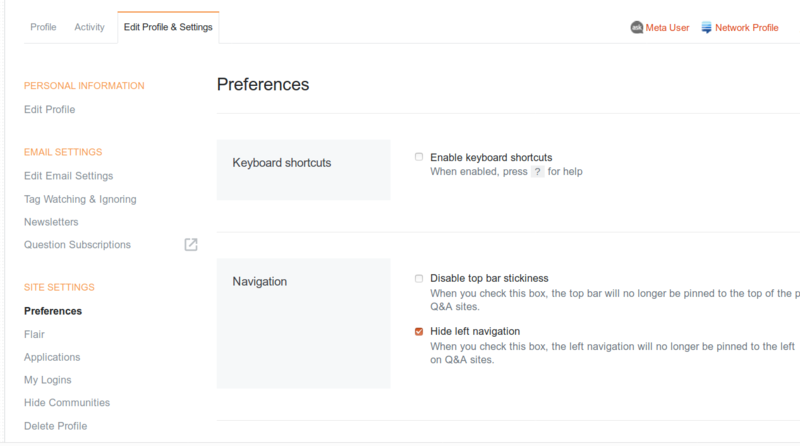 * If you have already selected the Hide left navigation setting on Stack Overflow, the Ask Ubuntu site preferences will inherit this setting from Stack Overflow's site preferences. 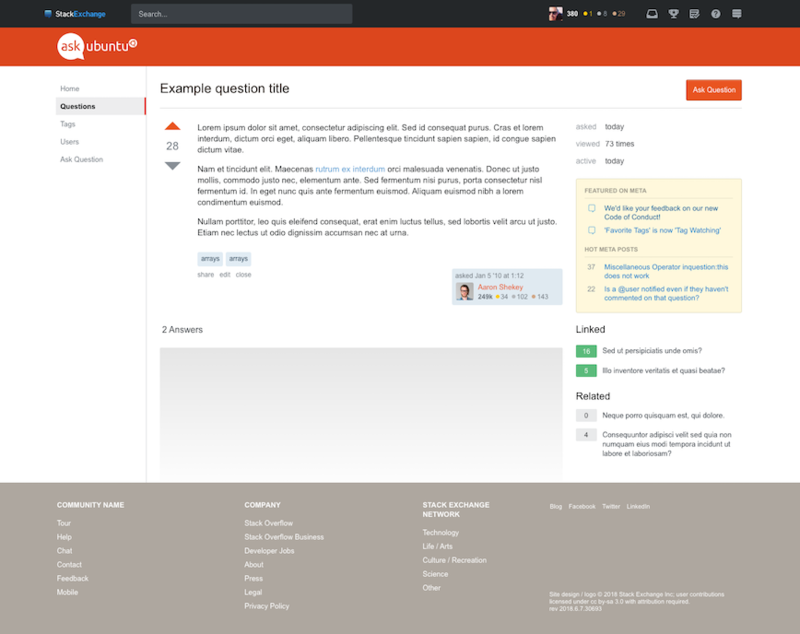 Depending on your work flow and monitor setup this could make the questions and answers easier to read. Click your reputation on the top bar. Click the Edit Profile & Settings tab. Click Preferences under SITE SETTINGS. Click the Hide left navigation checkbox. Date/Time stamps should be standardised or localised. Recommend international standard ISO 8601: "yyyy-mm-ddThh:mm:ssTZ"
Or something close/similar to this standard. I just have a question about the placement of advertisements; will it be changed? Because while some of us don't care, or care little about that because we have sufficient reputation which removes these ads, but will it render well for new/low reputation members? I ask this question in particular about the top one. And probably a space on the left will be used too.